The Cincinnati Ghost Tour is a stroll through Cincinnati's haunted history. Come with us...if you dare...as we dig up frightening tales and creepy stories from Cincinnati's dark past! We may even share some ghost jokes; for those of you who prefer the lighter side of the dark side. The tour is a 90 minute walking tour. 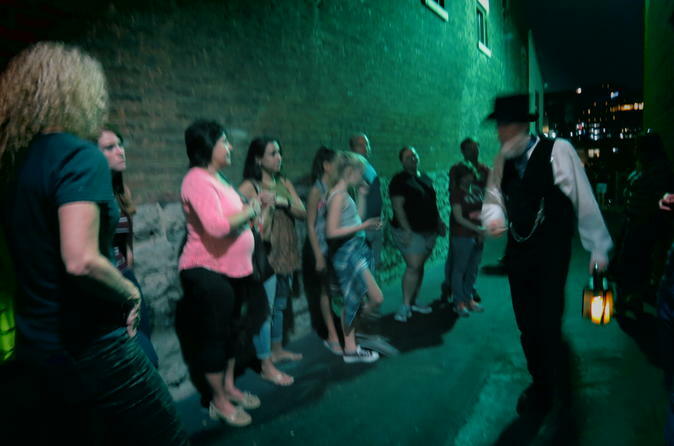 The Cincinnati Ghost Tour is a walking tour through Cincinnati’s haunted past! The tour starts at the fountain in Clifton with a brief welcome and introduction. On the tour, we will stroll through the Historic Clifton Gaslight District visiting sites such as an old church, a re-purposed former sanitarium, several Victorian era homes, the famous Rumor House, an alley with connections to another era, and a Firehouse dating to 1907. We will share tales of serial killers, insanity, epidemics that swept through the city. We will share a couple well timed ghost jokes, for those that prefer the lighter side of the dark side. Keep your wits about you, there may be a pop quiz. We will explore how a famous bootlegger entered the realm beyond, share some unearthly facts, and tell a story that reveals that not all ghosts are former humans.